MOSCOW, August 27. /TASS/. Russian Chief of General Staff Valery Gerasimov has met with Head of the Joint Staff Department of the Chinese Central Military Commission Li Zuocheng in Moscow. During the negotiations, the army officials discussed expanding bilateral military cooperation. He noted that due to the efforts of Russian and Chinese leaders, the relations between both countries have reached a new, unprecedentedly high level, and have become a new key factor in achieving peace and international security. “We are paying special attention to realizing the agreements reached. The key component of our cooperation in the military sphere is the cooperation of both countries’ general staffs,” the Russian general added. 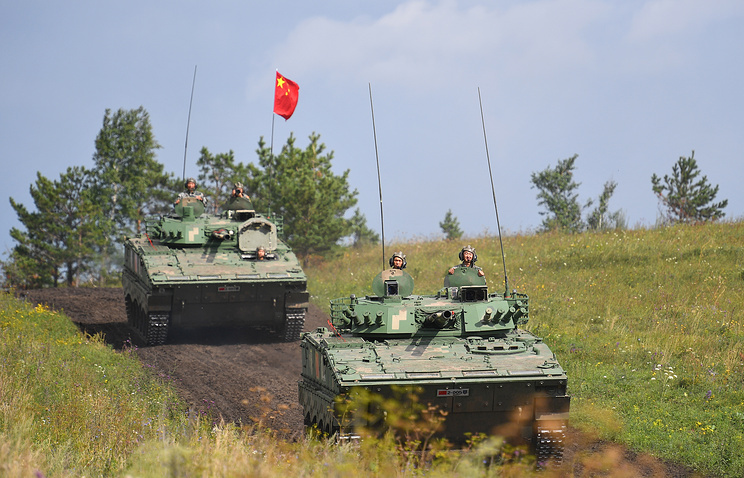 Hey Buddy!, I found this information for you: "Russia, China discuss military cooperation". Here is the website link: https://russophile.org/russia-china-discuss-military-cooperation/. Thank you.